A U.S. MQ-9 Reaper drone aircraft was shot down over the Yemeni capital of Sanaa on Oct. 2, U.S. officials confirmed on Oct. 2. Yemen's Houthi rebels claimed to have shot down the unmanned aircraft over the Jadar area on the northern outskirts of Sanaa. A military official was quoted by the Houthi-controlled SABA state news agency saying the army and various militias brought it down, though it was not immediately clear what weapons were used. It crashed on the outskirts of the capital around 11 a.m. local time, according to Reuters. Video posted on Twitter by journalist and author Babak Taghvaee shows the drone hurtling toward the ground while on fire and captures a crowd gathering around the wreckage. There were no reports of casualties from the crash, and Houthi rebels loaded what was left of the drone on to a pickup truck, according to Reuters. 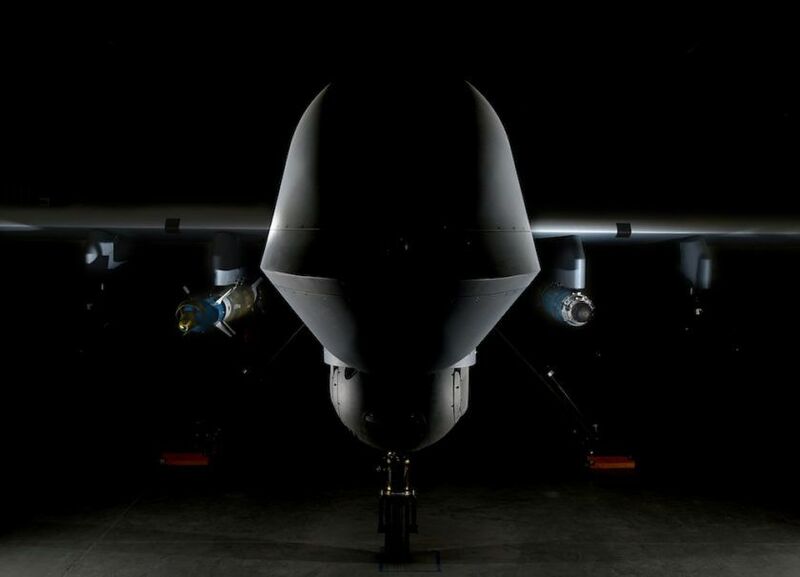 The MQ-9 Reaper is a long-endurance remotely piloted aircraft mostly used by the U.S. Air Force. It is primarily used for precision-strike and close-air-support missions and is capable of carrying Hellfire missiles and other guided bombs. It is also deployed for intelligence, surveillance, and reconnaissance missions. It has a flight ceiling of up to 50,000 feet and a range of 1,150 miles. Army Maj. Earl Brown, a spokesman for U.S. Central Command, which oversees operations in the Middle East, confirmed that a Reaper drone was shot down in western Yemen. Brown provided few details, saying the incident was "under investigation." The Houthi rebels, who have allied with ousted President Ali Abdullah Saleh and are backed by Iran, control much of northern Yemen, including the capital. They are fighting a Saudi-led coalition — which includes Egypt, Qatar, the United Arab Emirates, and Kuwait and is backed by intelligence, weapons, and logistics from the US — that is trying to restore the government of President Abd-Rabbu Mansour Hadi. The U.S. has increased its refueling support for Saudi aircraft since the conflict began in early 2015. The Saudi-led coalition has been accused of violating international law with its bombing in Yemen. Houthi forces or their partners may have also committed war crimes. More than 10,000 people have been killed during the conflict. Two million people have been displaced by the fighting, and 750,000 people are thought to have contracted cholera. The U.S. is also fighting Al Qaeda in the Arabian Peninsula in the region, launching raids and drone strikes against the group's militants. It's not known whether the drone downed on Sunday was supporting the Saudi-led coalition or targeting Al Qaeda fighters.